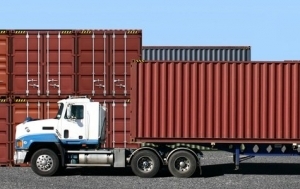 Finding the right truck load carrier for your shipping needs can be a challenge! With so many companies to choose from across Canada and the United States to get your freight shipped, what is the right choice? The answer is easy. RG Transportation truckload management services. RG’s carrier partner network provides services across North America. We’ll get your freight delivered on time and on budget. Short haul, long haul, Temperature controlled, multiple stop, expedited and Just-In-Time (JIT); all at competitive rates. Looking to reduce your transportation costs? Look no further than RG Transportation. RG moves millions of tonnes of freight every year, allowing us to negotiate significant discounts with our core carrier network. This means budget friendly truckload rates for you, our customer, whether you ship occasionally or in high volumes. Take the confusion and management out of your truckload deliveries. Get RG Transportation truckload management services working for you!